Live in Levi's: this outfit has been one of my favourites during the warmer autumn days we had last month. My to-go vintage levi's shorts, beloved Stan Smith sneakers and a classic striped tee make the perfect casual look together. The day we shot these photos also marked the last day we were able to leave the house bare legged - oh how I miss these days. Although something really exciting is coming up next! Will tell you about it soon. Or you can just keep a close eye on my Instagram account here. For now I just would like to wish you all the most happy sunday! Yes! I have the same shorts, but you look much better in them! Mooie foto's! Je Adidas sneakers zijn gaaf! 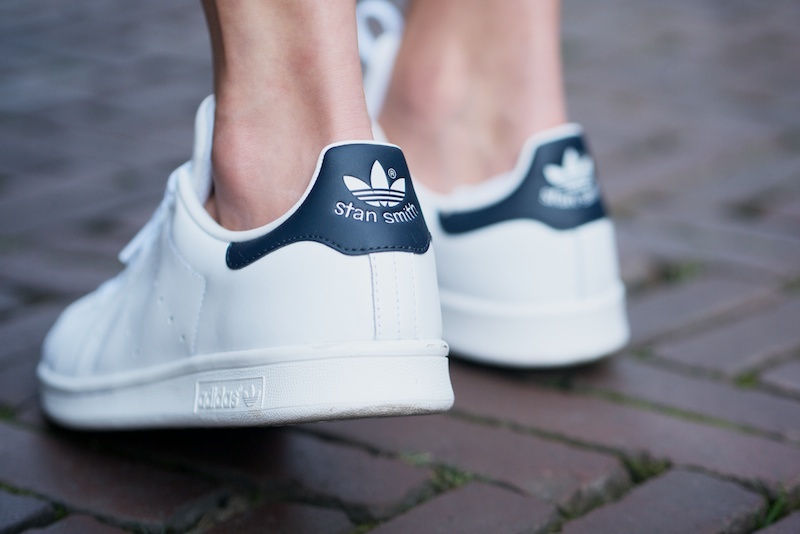 Love your sunnies and sneakers! 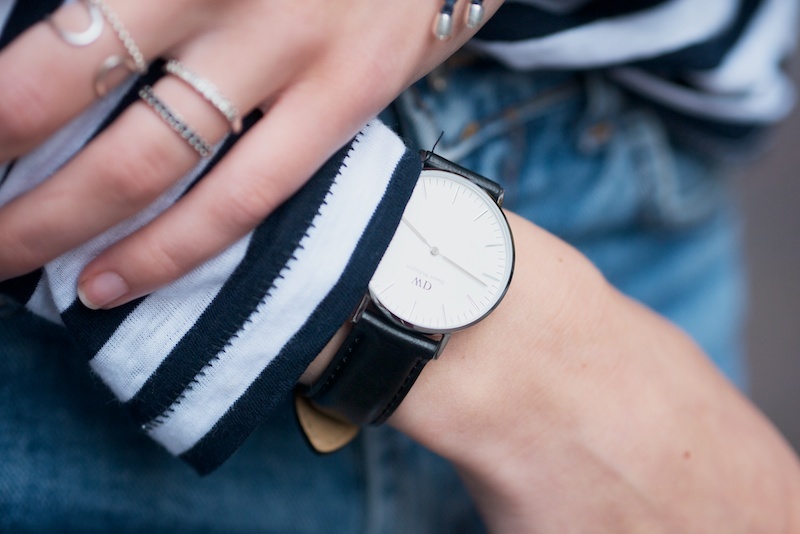 Leuke combinatie met die strepen top! Heeel mooi deze look, vooral de top is super! I love these photos! The shorts are perfect. love your style honey! perfect look! Ah oke thanks! Ja ik vraag mij af hoe je het voor elkaar krijgt om jouw lichaam zo scherp te krijgen en de achtergrond zo wazig. Ondanks dat ik een 1.8 diafragma lens heb, is vaak de helft van mijn lichaam onscherp omdat er dan is scherp gesteld op mijn hoofd. Heel frustrerend, haha! Aaah wat zie je er tof uit! Dat broekje staat je zo mooi! En wauw die kwaliteit van de foto's! I wish it was still warm enough in Seattle to wear this type of outfit - I love this casual, laid-back look. 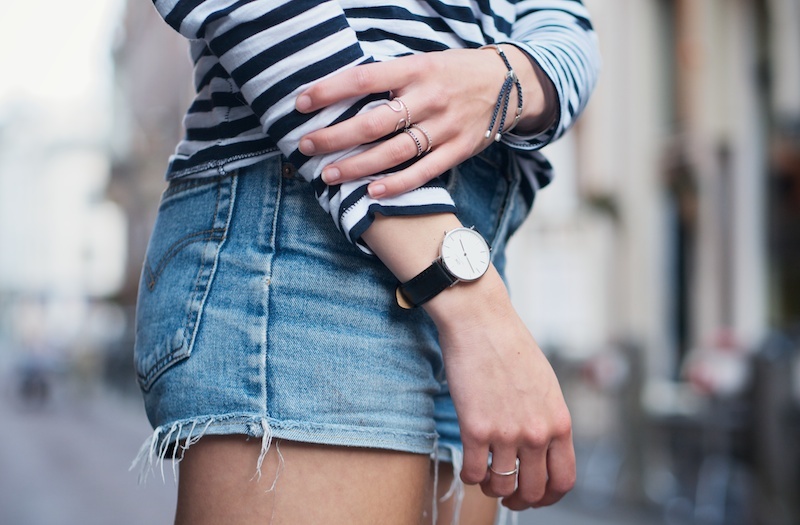 You can never go wrong with stripes and denim! Love the outfit! Perfect for saturday strolling with friends! You look very lovely, I love the combo of this shirt with the short it look very lovely! Ik ben verliefd… op je blog, op je fotografie en op je stijl! Beautiful photos! I love how casual and simple this outfit is, super refreshing!